Two of mother nature’s gifts for clear, fresh skin has got to be oatmeal and yogurt. These two are packed with vitamins, minerals, and oils that help soothe skin and rejuvenate it. 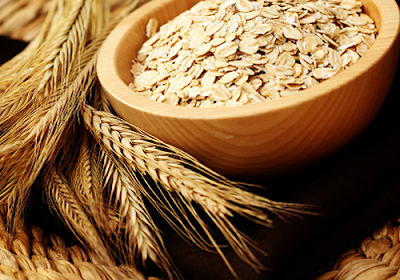 Oatmeal contains little saponins which act as a cleanser when used on the face. It also has anti-inflammatory properties making it great for all skin types, especially on sensitive skin. It can even help in the treatments of skin issues like rosacea, acne, and eczema. Yogurt on the other hand is full of lactic acid which is credited to reducing wrinkles and healing acne scars. The anti-fungal properties make it an ideal candidate for unclogging pores and diminishing blackheads. So when these two are used together, they make for an amazingly refreshing face mask that is suitable for all skin types. 1) Begin by adding the oatmeal, yogurt, and honey in a small bowl. Mix the three ingredients together. 2) Apply the mixed ingredients directly on the face and neck. Leave the mask on for 15 minutes. 3) Once the time is up, rinse the mask with lukewarm water. Slightly pat your skin dry using a clean tissue. 4) Apply moisturizer or SPF sunscreen to protect the skin after treatment.